It's important that your home is easily accessible to you and your family, but not to anyone else. Reliable locks are an important defense to keep your home and loved ones safe. 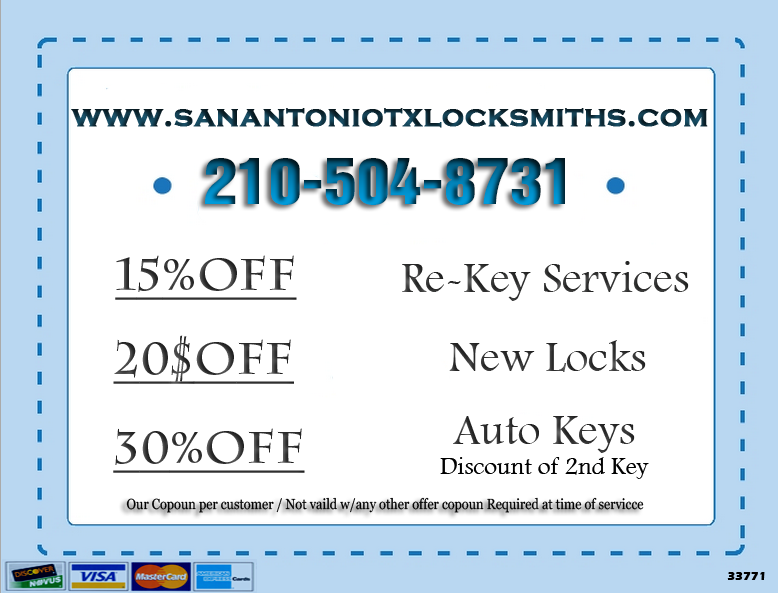 San Antonio Locksmith Residential Services can be on its way to your location in the San Antonio area anytime you need quick, professional service to address your locks and security. Let a professional San Antonio Locksmith repair or upgrade any of the locks on your property including mailboxes and decorative hardware. We can provide services on master systems and high-security locks. 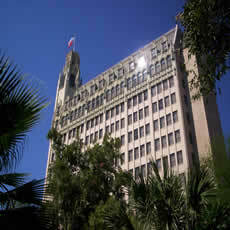 Any of our professional techs can install a home safe for the protection of your valuables and important documents. Limit access of storage areas, rooms and even desks and cabinets to prevent unauthorized entry.. San Antonio Locksmith technicians can even take care of you need for the Installation of peepholes . 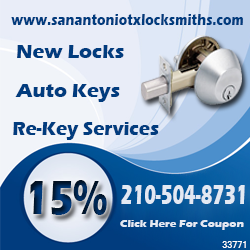 Every San Antonio Locksmiths technician is qualified, certified, bonded, and insured. Certification is awarded only after our technicians have been entirely trained on every feasible residential locksmith locking mechanism. Our teams of residential locksmith in San Antonio are available to duplicate keys, repair locks, and perform a wide range of residential locksmith services at a moments notice in an emergency or by appointment for a planned project. When you call San Antonio Locksmith at 210-504-8731 for residential service, our mobile response vehicles will come to you completely equipped with a top line inventory with guarantees from the manufacturer. The latest locksmith technology and machinery will be on board to address your every need.